What if you had only one day to change absolutely everything? Samantha Kingston has everything: the perfect friends, the perfect guy, and a seemingly perfect future. Then, everything changes. After one fateful night, Sam wakes up with no future at all. Trapped reliving the same day over and over, she begins to question just how perfect her life really was. As she begins to untangle the mystery of a life suddenly derailed, she must also unwind the secrets of the people closest to her, and discover the power of a single day to make a difference, not just in her own life, but in the lives of those around her--before she runs out of time for good. 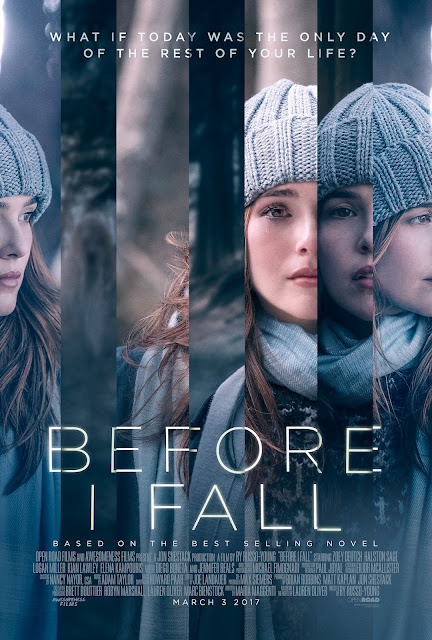 Grab screening passes to BEFORE I FALL below!